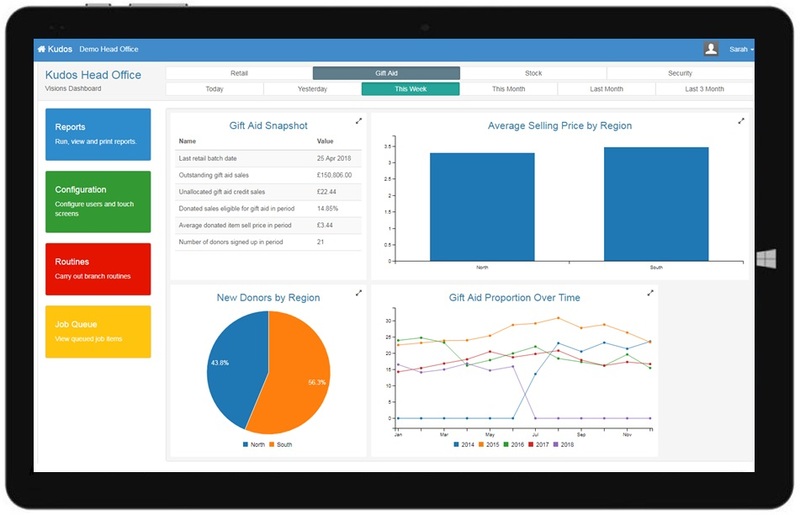 Managing a more effective retail operation is always driven by having the right information at your fingertips at the right time. You’re doing all you can to do more to bring income into your charity and Kudos supports that. 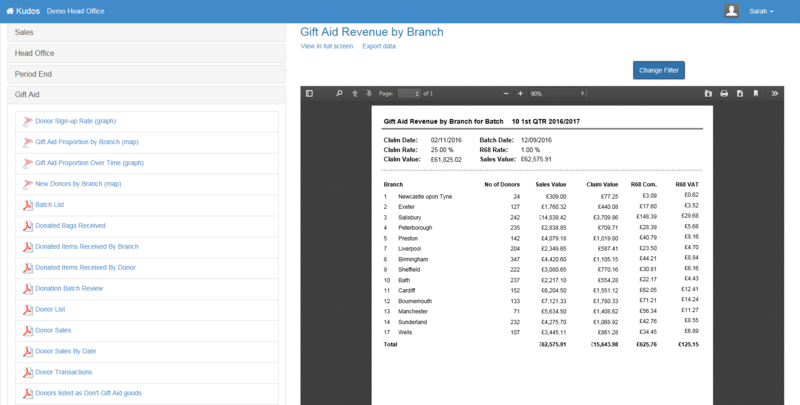 Be that through managing stock, integrating eBay sales with Gift Aid or opening a café or pound shop, our experience with over 100 charity customers coupled with continual investment in product development means we have the software solution to achieve your goals. 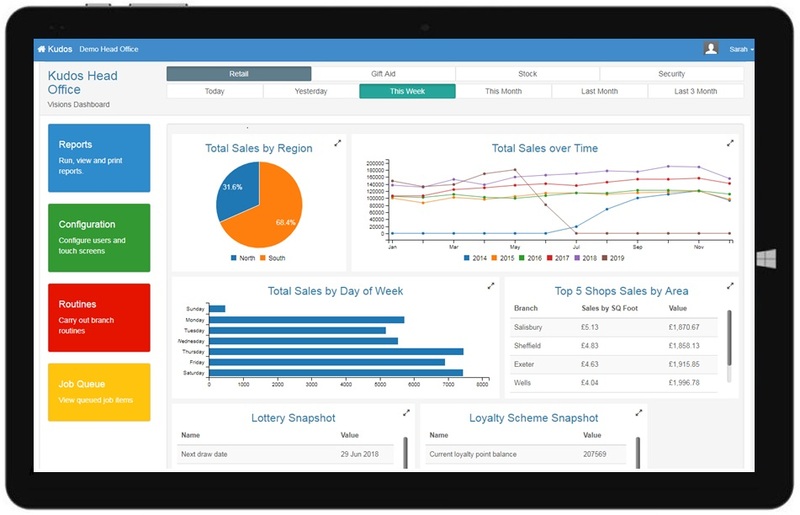 Maximise productivity across your retail operation with Sage and accounts integration, furniture round management, integrated staff rostering. Kudos does more so you don’t have to. Because Kudos uses the best software development tools users benefit from the latest trends in retailing; tablet donor sign-up, on-line collection booking, mobile phone alerts and integrated footfall analysis, to name a few. Who want important HMRC information at their fingertips. 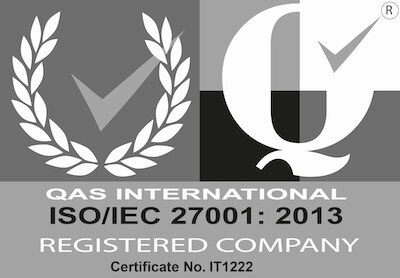 Kudos integrates with HMRC for RGA processing and enables automatic donor communications by post or email. 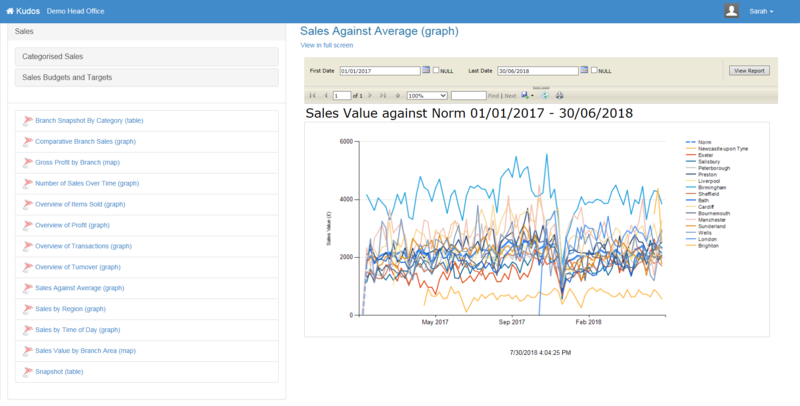 Kudos provides crucial business intelligence at the Point of Sale, highlighting potential issues and checking how well the shop is doing in terms of sales and RGA. 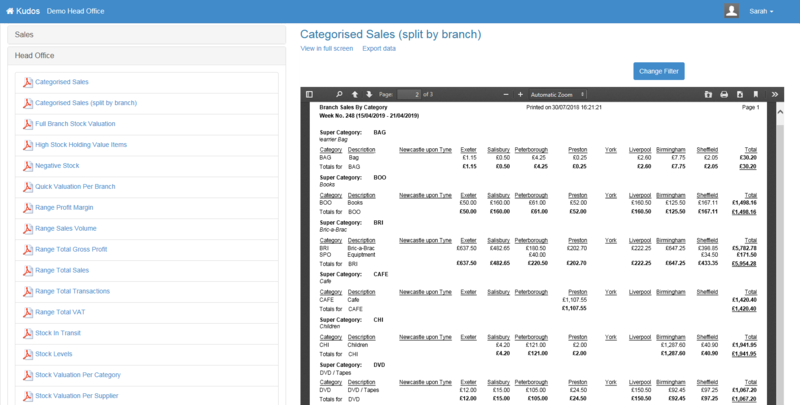 Compare shops at a glance and then apply best practice across all sites. That’s Kudos. 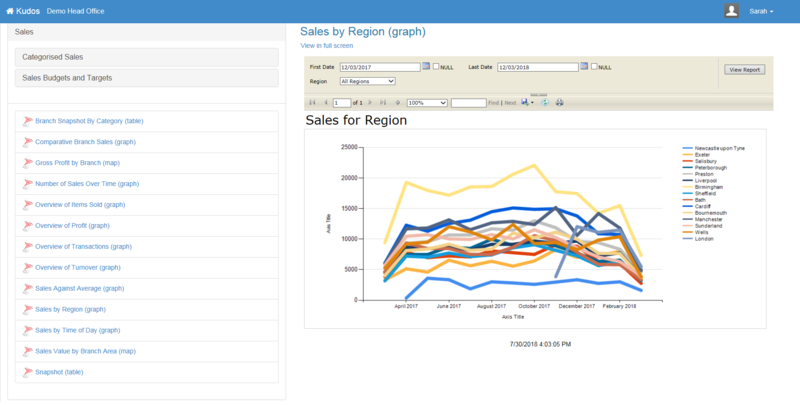 Bringing together sales, customer, donor, pricing and operational data. Presenting it all in an easy-to-understand dashboard, tailored to your role, so you can make informed decisions. That’s Kudos Visions. 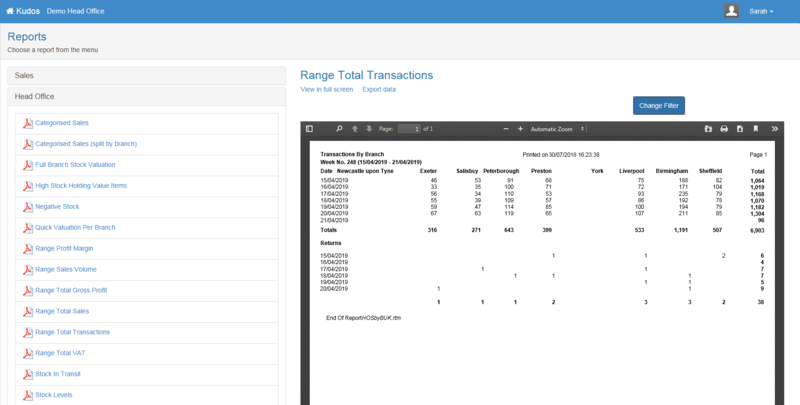 Visual and intuitive, Visions lets you perform sophisticated analysis without specialist skills. So you get fast answers to your most pressing questions. With Kudos Visions, you can extract meaningful KPIs that give a true picture of performance, view information about the organisation, identify issues and act on them in real time. You can also identify potential risks and take actions to migrate these. Use trend and projection data to anticipate and forecast the future of the operation. Electronic donor sign-up, bag drop or delivery kiosk, drivers with collection and delivery sign-off tablets; it’s all feasible with Kudos Nomad. 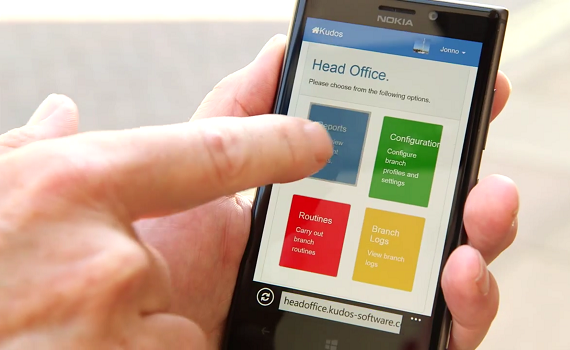 Talk to us about your in-store or out-and-about mobile technology needs. 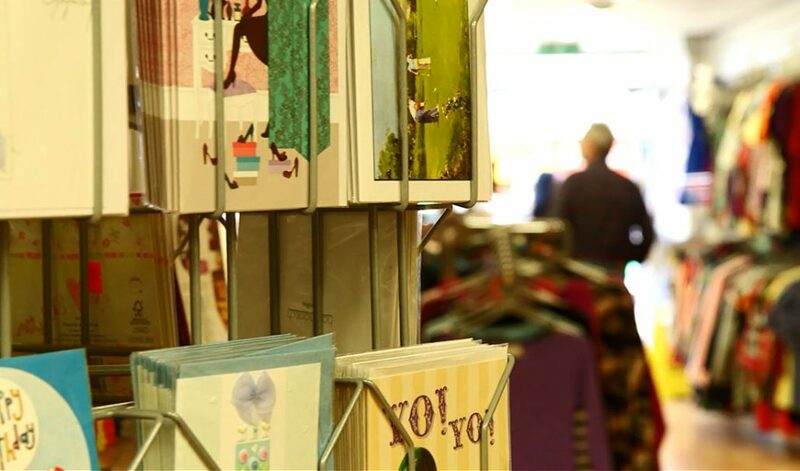 Every charity retailer is unique, working with Kudos means that the solution you implement works with you, and develops with you too. Here are some examples, and if what’s unique about your charity isn’t covered remember that with Kudos you choose what buttons to use and what they do, and the software is feature-rich so please talk to us, if we can help, we will. 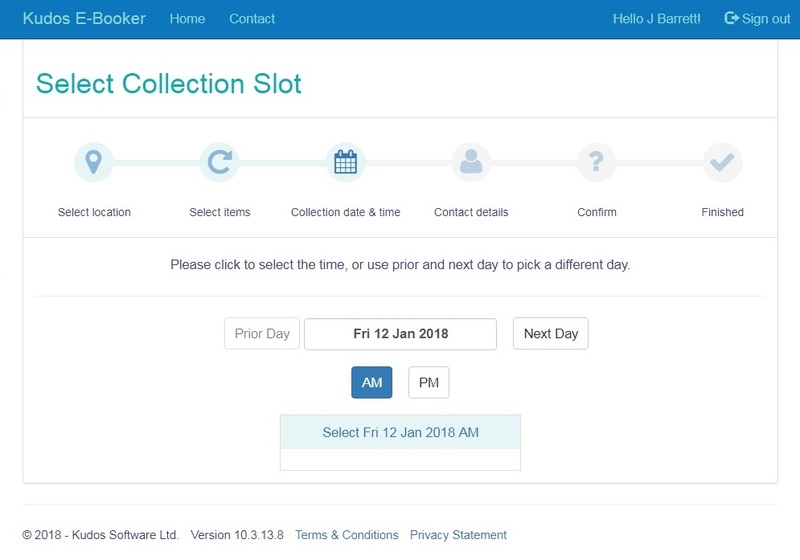 Simple processes for arranging collections and deliveries that feature load-bearing, donor sign-up at collection and E-Booker on-line bookings. Managing furniture is something we’ve invested a lot of time in, read more on what Kudos does to help. What’s specific about café’s is that you can sell on a tab in Kudos, and what’s good about the touch-screen designer is that you can design you café layout or create buttons for the food and drink you sell. What’s really great is that whether it’s a café, up-cycled fashion, books, or wedding dresses, you can tailor the buttons to meet the needs of you shop. It’s easy in Kudos to tailor your screens to your £1 or discount shop so stock is quick to sell, and still claim Gift Aid on. Reporting is setup so you see how well your discount shops are working, and compare between them. The easy way to arrange collections on-line for donated goods. That’s Kudos. E-Booker is an online tool for donors to book furniture or clothing collections through the charity’s website. It hooks in directly to the van round calendar in Kudos so your donors can see, and book, available collection slots in real-time. Barcoding, a powerful tool – is it right for you? 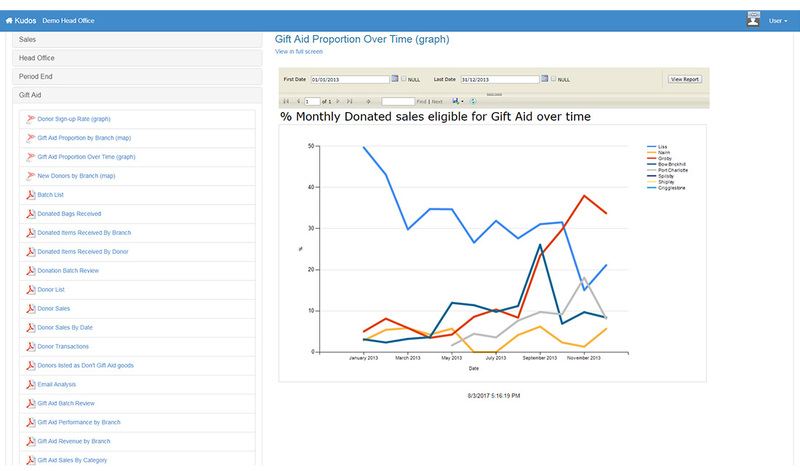 Tracking donors at point of sale to apply for the gift aid redemption is a key revenue driver. 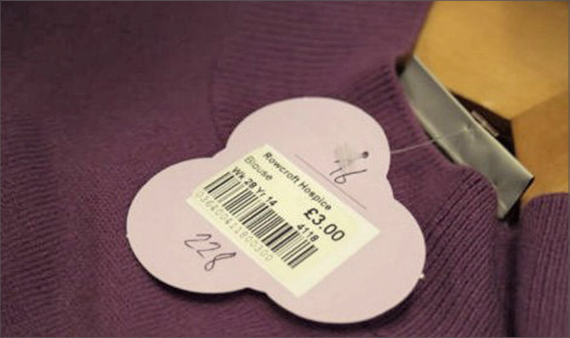 Barcodes can be a great way to do this. At Kudos we never apply a ‘one-size-fits-all’ policy. We’ll work with you to discover whether and how one scan or donor only barcoding might work for you. Naturally Kudos will seamlessly integrate barcoding and allow you to take advantage of this simple but powerful technology. 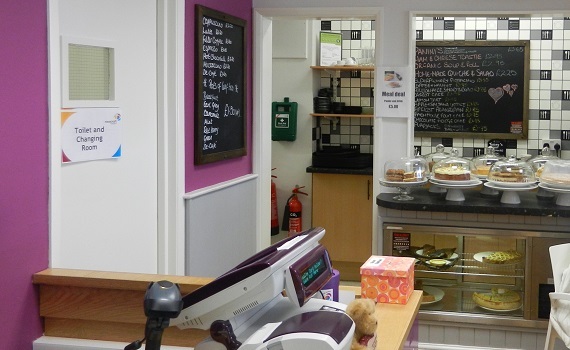 At Kudos we’re here to help you easily track donated items. From the moment they arrive you may wish to tag the donor and price in the stock room and then perhaps transfer them to another site or sell them online. 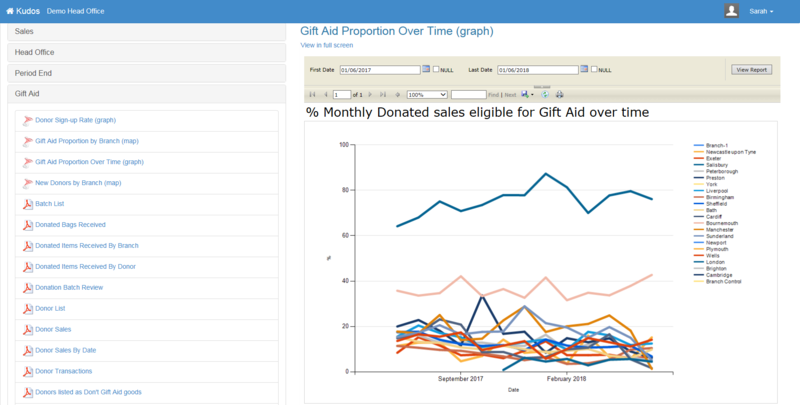 Of course, Kudos will support the processes you have to track stock, maximise sales and record Retail Gift Aid. Full stock valuations across all your branches at selling or average cost prices, stock transfers, central ordering for local delivery, your Kudos package supports it all. Ever since we started in 1995, we’ve been building systems from purchase to sale, and that experience shows in our standard functions for stock purchase processing, suggested order generations and optimised stock deployment across the estate. Kudos furniture module also supports bought in refurbished items, for example for white goods, and processes the VAT and purchase order fully and automatically. 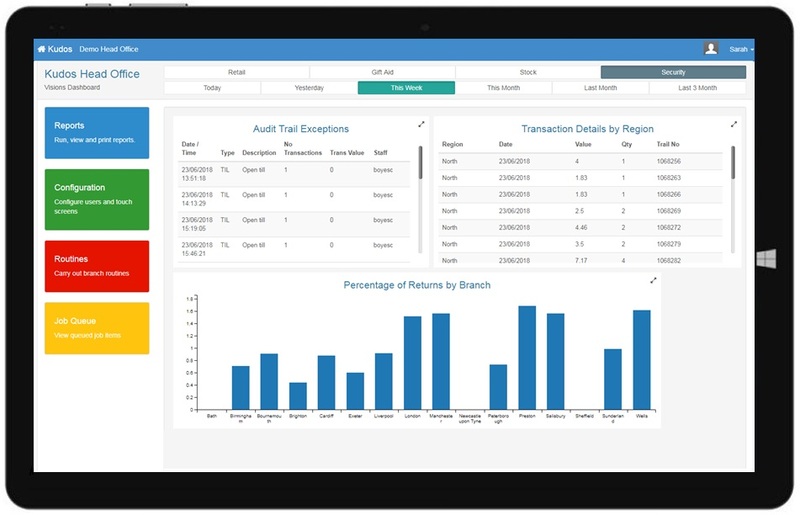 Kudos offers comprehensive integration with Sage 50, 200 and Access Accounting, and summary integration with many accounting packages so we work with your choice of accounting system and your option for the level of integration. Kudos Rostering is a staff scheduling tool that enables you to use contact fields in Kudos to manage staff rotas, holiday and absences. 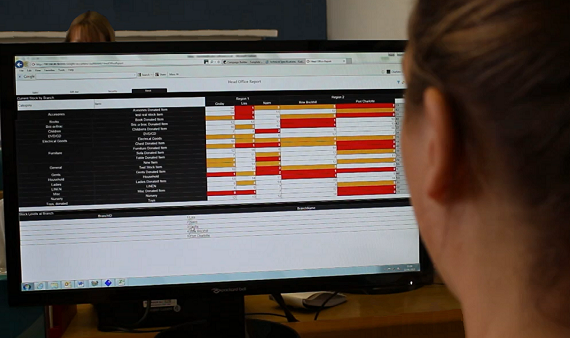 It can be used to log staff attributes are training as well as shop events.